"Defend The Sacred" is a short documentary that attempts to capture the spirit of Indigenous people at Standing Rock. 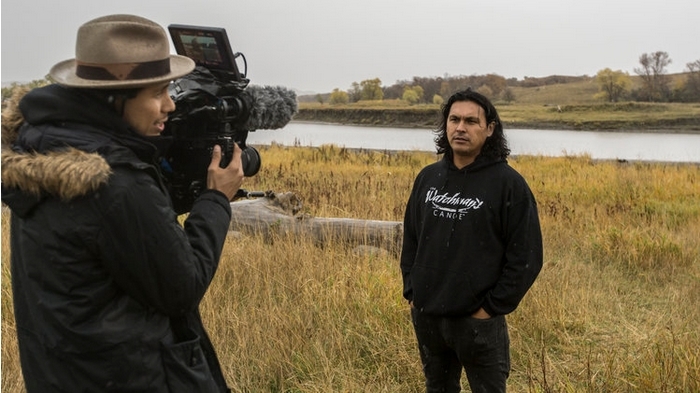 Adam Beach (born November 11, 1972) is a Saulteaux actor. He is best known for his roles as Victor in Smoke Signals, Frank Fencepost in Dance Me Outside, Tommy in Walker, Texas Ranger, Kickin' Wing in Joe Dirt, U.S. Marine Corporal, Ira Hayes in Flags of Our Fathers, Private Ben Yahzee in Windtalkers, Dr. Charles Eastman (Ohiyesa) in Bury My Heart at Wounded Knee, Chester Lake in Law & Order: Special Victims Unit, and Officer Jim Chee in the film adaptations of Skinwalkers, Coyote Waits, and A Thief of Time. He starred in the Canadian 2012-2014 series Arctic Air, and played Slipknot in the 2016 film Suicide Squad. Adam hopes to be appointed leader of his Lake Manitoba First Nation. 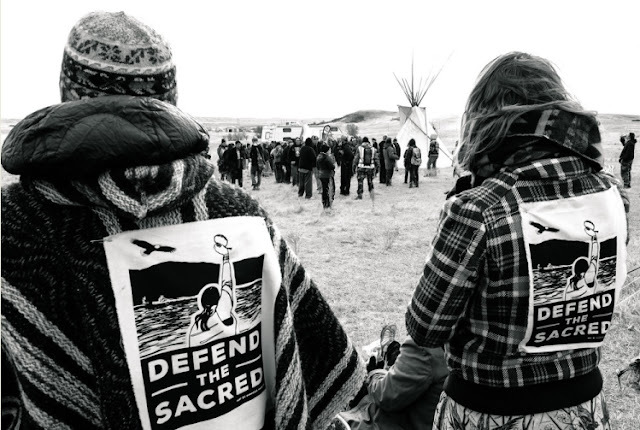 The tribes gathered at Standing Rock today are trying to stop a natural gas pipeline operator from bulldozing what they say are sacred sites to construct an 1,172-mile oil pipeline. The tribes also want to protect the Missouri River, the primary water source for the Standing Rock Reservation, from a potential pipeline leak. Water is the "first medicine;" it sustains us in our mother's womb. It's used in ceremonies to heal people. The steam it gives off in a sweat lodge, for example, purifies. Water can clean a spirit when it's bleeding. It can calm a person and restore balance. Its power goes even deeper, though. Water also has memory. When people speak or sing to it during a ceremony, it is believed that the water holds on to what it hears and can later share what it learns. Responses to "Defend The Sacred: A Standing Rock Movie Produced by Native Actor Adam Beach"
This is a great documentary of the beginnings of Standing Rock. Thank you. Beautiful. The water does know and remember prayers no matter what the opposition is, blessings. This is a human issue, not only Indigenous people. These wonderful tribes gather together to protect Mother Earth, Nature, all the living beings on the planet. Anyone who would deny their wisdom cannot see or feel.